CONTEST IS NOW CLOSED: Thank you to all that entered but we would like to congratulate Liz L. of Shreveport LA who has won a free set of Round Holiday Cards! 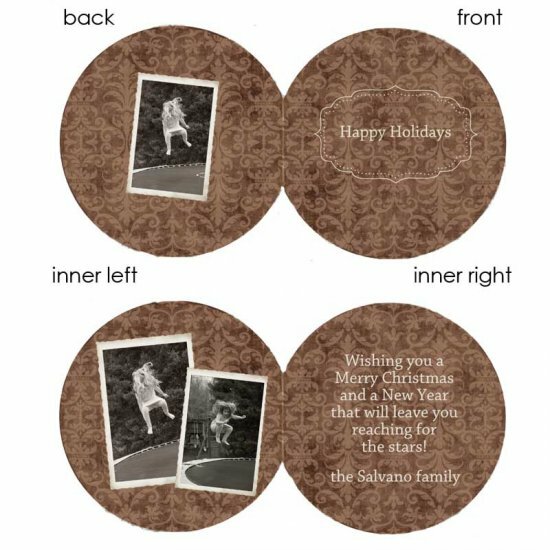 We are thrilled to be able to offer our readers the latest in Photo Card design, and here it is - Round Photo Cards! 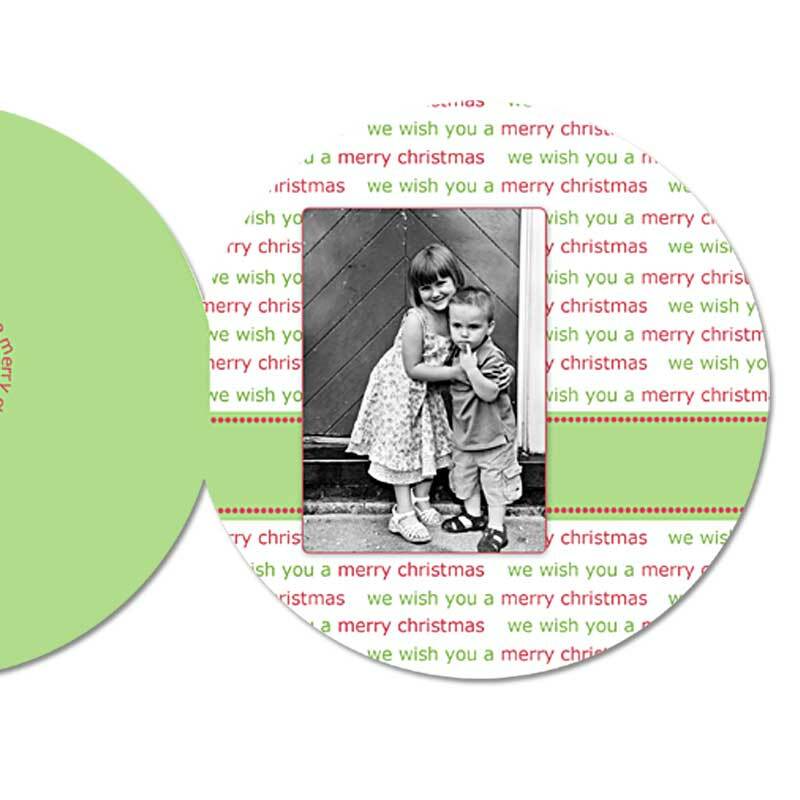 Yes, you heard right, your images and text beautifully enhanced, designed and printed on Round Folded Photo Cards. These cards measure approximately 5" in diameter and come with square envelopes. These are so new we have not even had a chance to create many design ideas yet! But you can choose any style in our full line of Photo Cards and we will modify it to fit in our circular card, or as always, you can have a design made just for you! Shown below are the front of our Merry Christmas design and the full four sides of our Vintage Damask! So, how would you like to win (24) of these great Round Photo Cards? Then scroll down below to see how to enter! Be sure to leave a new comment for each extra entry that you qualify for! Think this is a great contest? Then please Stumble, Digg, Tweet or somehow socialize this post, let us know what you have done by adding another comment and you will get an extra entry!!! Winner will be chosen at random. All additional entries for subscriptions and button placements will be verified. Winner will be announced on our blog in this post and via email on November 8, 2008! Winner has 3 days to claim their prize or it will be forfeited to a new winner. Winner will choose a design from our ROUND PHOTO CARD gallery and can incorporate UP TO 3 images for their 24 photo cards. Winner will need to supply text for the card. Card will be printed on our UV Glossy paper stock and will include square envelopes for mailing. Please note that these cards may require additional postage, please check with your local post office for details. Any entries that do not follow the rules to enter will be automatically disqualified!